Blockchain is the initial technology behind the digital currency Bitcoin, providing users who do not know each other the ability to build a dependable ledger. However, the technology has potential beyond cryptocurrency. 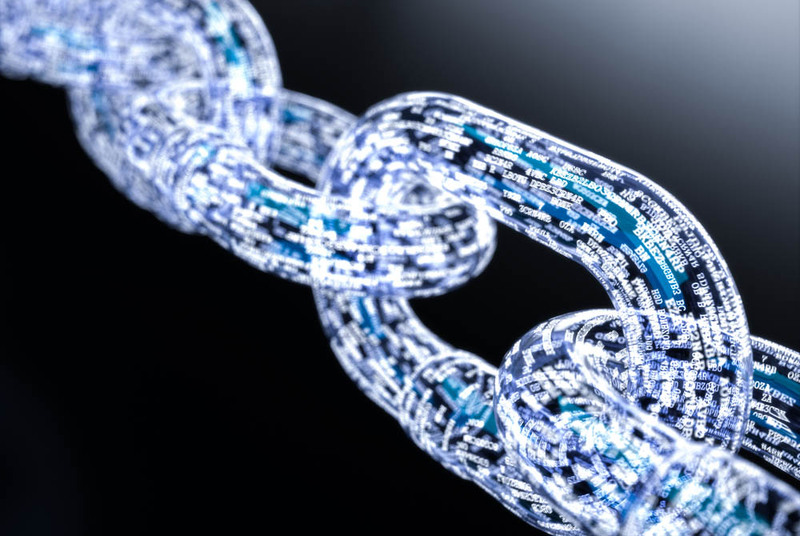 Today, blockchain is being investigated as a tool to better secure Internet of Things (IoT) networks, potentially reducing the significant risk that can accompany IoT use. To learn more about what blockchain is, how it works and its potential in IoT, R&D Magazine spoke with Ahmed Banafa, IoT expert, technology speaker and faculty member at San Jose State University. R&D Magazine: What is blockchain? Banafa: The current system we have now for IoT is centralized - single point of failure. This means that if a hacker can get into the cloud, if they can get into a set of routers or the server, they can get into the information and no one can stop them. The idea of the blockchain is different. Say for example, you have an office building that has a guard outside that checks the I.D.s of people before letting them in. This is what we have now in IoT. In the case of blockchain we don’t have a guard standing there; this person can get in. However, before that happens 80 to 90 percent of the people in the building have to identify this person and say it is OK for them to enter. It is a peer-to-peer system. You have to have the voting of roughly 8/10 saying this is a valid transaction. That is safer because it is not just one person signing off. If you just have just one guard, as we do in traditional IoT security, what happens if that guard is corrupted or can be bribed to get in? Blockchain evolved from Bitcoin. That is where the idea came from. R&D Magazine: What are the biggest security concerns currently within IoT ? Banafa: It is the same problem that you have with any kind of network you are dealing with - the challenges are big. First off, there are limitations in technology. You cannot tell me that a system is 100 percent secure, even if you have the best encryption, the best firewalls, it doesn’t matter. Someone smarter than you will eventually figure it out. Another big problem is the user. Not everyone is tech-savvy and understands the importance of changing their passwords, not clicking on links they don’t recognize, etc The non-technical user is a weakness in the system, which is going to be an access point for a hacker. The other challenge is that we have many different kinds of hardware and software available. Therefore, there are issues with the compatibility process and this can create some holes for hackers to get in. Blockchain tries to not deal with them. Instead, it deals with the process, not the components, not the software. Blockchain changes the process of who is identified, who is approved instead of going and solving every software and hardware problem. Blockchain looks at the problem from a different perspective. R&D Magazine: How does blockchain in IoT work? Banafa: The IoT ecosystem has multiple levels. The weakest one is the sensor - when you have all of these sensors gathering information it can be an access point for the hackers. The links between the sensors and the processing units on the cloud are another weak point. You can secure connection between all of the sensors within a certain area using blockchain by using programing language where several sections within the program have to identify that each transmission is known to them, and is understood, according to a certain algorithm. For example, if someone is trying to send you information about the temperature and the temperature is coming in a certain way within a certain parameter than it will be accepted. That is then confirmed through the chain, to make sure that everyone received the same thing. The stack of the blockchain can be added at multiple levels depending on how deep you want it to go and how fast you want it to process. R&D Magazine: Are there limitations to blockchain? Banafa: There is a problem with blockchain, which is storage. Now we have to store all of the information about the blocks that are processing, and over time they will become bigger and bigger. We need some kind of hardware that can process of all of this. Scaling this up will be another challenge. If we can overcome this by trying to distribute the block chain in a way that is only touching the very important areas of IoT, the ones we are really worrying about, then it will be OK. Having it on a big scale right now, is still a challenge. That is why you don’t see a lot of companies, other than IBM, using blockchain right now. A lot of companies right now are thinking about blockchain as an access point to solve problems from banking to insurance to hospital healthcare, but they are using it for a specific purpose, to secure specific, very sensitive areas only. The big names realize that blockchain could be a solution, so I think eventually that they are all going to come up with their own algorithms, their own systems. We may end up with the same problem we are facing with IoT, which is that they are no industry standards. There is a fight between Alexa, Siri, and Google Home, each one is a hub for IoT and each one of them wants to dominate the market. It is either going to be a big competition or perhaps the big names will see the benefit of joining their markets. If they open it up and Alexa can talk to Siri and Siri can talk to Google Home, they will all have access to 7 billion customers. R&D Magazine: What’s on the horizon for blockchain in IoT? Banafa: What I hope is that some of these big companies, in the financial or insurance spaces perhaps, will really adopt this and look at it as something that will save them money, time, embarrassment, all of these kinds of things, and they will start investing in that field. That will be the driving force of it. Blockchain seems to be a good technique that we have, something that is secure compared to what we have now. Blockchain is a wise thing. Is it the best thing? Time will tell. However, it is a wise thing for these companies to invest in, given all of the information we know about it. We need to have a business model that will be appealing to these companies, we need technology to advance further so it will be easy for people to deploy blockchain, and we need the regulations and understanding from the government to approve blockchain as a security technique for sensitive information. That is what we are pushing. Hopefully we will get to a certain point where products are blockchain certified, and they can immediately establish connections with other blockchain certified products. Plug and play for blockchain devices. If we can get this done, all of these breaches, all of the hacks that we hear about, are going to be less and less. Why Do Conservatives Hate Science So Much?